As well as one way donations, the Warp It system also facilitates the loaning or rental of items. Loaning takes place in the same way as one way donations, except that the item will come back into the ownership of the original owner. The item can move physically to the point of new use. Or in the cases of very large equipment, the person loaning the item may have to come to the item. Think of the loan feature as room or hotel bookings for things. Members pick a date to use the item and the system automises everything else. The loan facility is well used for items that are common in each office but are used infrequently, such as laminators, binders, fans etc. The loan feature is used extensively for high value, low use equipment like sport apparatus and laboratory kit. The loan feature can also be used to book out items from a store, such as laptops, safety equipment and vehicles etc. The loan feature can be used when funding policies dictate that an item cannot be sold or disposed in the normal manner. For example, laboratory kit often is funded by bodies which attach certain disposal and ownership criteria. The loaning feature can be used to loan out the assets rather than give it away. An item is added in the usual way. However, there are a number of additional details which must be filled in which are pertinent to the condition of the item and the loan period/s. The staff member loaning the item should detail the condition and maintenance history in much greater detail. 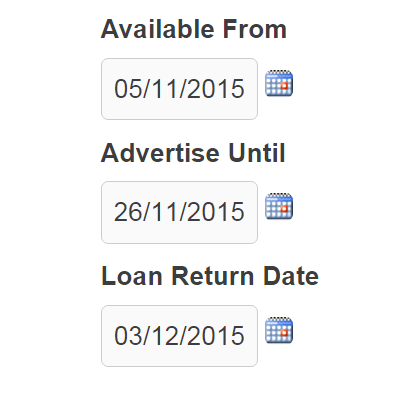 Furthermore, the member should specify what the time frames are on any loans. When booking an item the member specifies when and for how long they would like the item for using a calendar feature. Almost like a room booking system- think of this as an asset booking system. 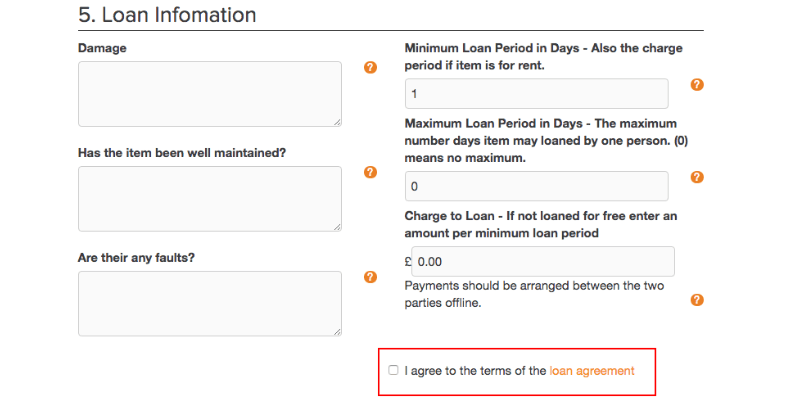 The member applies to loan the item and the owner of the item has to agree to the application. Once the owner agrees the two parties arrange collection in the usual manner. In the same method as standard donations there are guidelines to loans and Terms & Conditions. It is important to note that the T&Cs for loaning of items are different to the T&Cs for donating items. Organisations can customise this agreement for their own purposes and Waste Action Resource Efficiency takes no liability for any trades on the system.